Why C.A.R.S. in Jenison for Auto Repair? Keeping you, your car and safety steady; C.A.R.S. 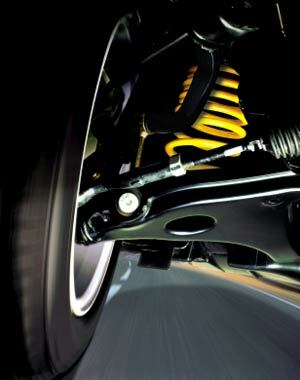 Auto Repair Service is your complete steering, suspension, and front end specialist. Our technician’s can inspect and make sure your vehicle is safe and reliable. We can also replace any parts necessary. At C.A.R.S., we use high-quality parts that meet or exceed the quality of the original parts. In addition, we can mount and balance tires and make tire repairs. C.A.R.S. also provides alignment services on vehicles from compact cars up to one-ton trucks with dual wheels. I was fully prepared to spend a couple of grand for a new four wheel drive transmission for my truck. C.A.R.S. charged me a whopping thirty eight bucks to diagnose and repair the one I had. You have a customer for life. Was recommended to me and, happily, the recommendation proved to be accurate. Found them to be very professional, friendly and capable. 2 thumbs up! I had a squeak that came and went. When repair places took it for a test drive, they thought I was making things up (or hallucinating). Denny knew where to look and found it was a combination of symptoms. Sign me - Riding in silence. I sent my parents to C.A.R.S. for a brake job. C.A.R.S. inspected the brakes, discovered a different problem and my folks went home with a bill under $50. Our whole family now goes to C.A.R.S. You guys are the best. After a recommendation from a friend I finally took my car here. The guy called me within 30 minutes of dropping my car off to tell me the problem and asking what I wanted to get fixed. I'm a women so he explained everything so simple anyone could get it, and b/c I'm on a tight budget he told me what NEEDS to get fixed and what I could wait a few months before getting fixed. (which you never get from any autoshop) So after a few hours of work, I had my car back and couldn't be happier. Friendly service and great, honest people to work with. I am truly happy and will make this my new body shop. Cars is great this is the place I would recommend to everyone, I had an Oldsmobile that a previous mechanic messed up and cars was able to help me with all of my problems, service is great and they have a great staff that can help with any problem you have. So i got breaks from CARS auto about a year ago. About 6 months after i noticed a vibration in the steering wheel. Took the car in, they looked at it, replaced break pads at no charge and took care of the vibration. About 6 months later the vibration was back. They replaced rotors, break pads with a different brand completely free a year after i got the original breaks. These guys stand behind their parts and labor! great service, i highly recommend them. I started going to C.A.R.S. because of a coupon I received. They have since become the only place I take our five cars to. They are always courteous to me. Once they diagnose the problem, they are quick to fix it, usually that same day. I trust them to do whatever is necessary and to be honest in their endeavors. I absolutely LOVE this place. My blazer needs a lot of work done and I don't trust anyone else to fix it. I have gone here multiple times even though there are multiple places that are closer to where I live. They are very honest and give you a fair price for the work. When I didn't have the money to fix my vehicle they helped me get a credit card that is only for them so I could pay for it. I have gone there about 5 times in the past couple years and every time I leave completely satisfied. Never have any problems!! My daughter is in Allendale going to GVSU and her brakes started acting up. I called C.A.R.S. Auto Repair because of the great reviews I found and I am so glad I did! Not only did they get to her car (even though they were incredibly busy) 5 days earlier than they thought they could, but it was completed within 24 hours! The price was very reasonable. I feel like my daughter has family at C.A.R.S. and they will keep her safe on the road! Serving Jenison, Hudsonville, Grandville and beyond! Located in Jenison, MI and providing quality auto and truck repair to all of West Michigan. We are right next door to Hudsonville and just a short skip down Chicago Dr. from Grandville and Grand Rapids. No matter where you are located in West Michigan, know that the professional mechanics and staff at C.A.R.S. Auto Repair Service are ready to take care of your auto repair needs.